Dodge Cove Improvement District received $12,300 from the Canadian Environmental Assessment Agency to review the Aurora LNG project proposed for Digby Island. Federal funds have trickled down to Dodge Cove, the fishermen’s union and environmental groups for participating in the environmental assessment of the Aurora LNG project. The Canadian Environmental Assessment Agency (CEAA) made the announcement on Aug. 10 that it had handed out an additional $60,350 to five groups, including the Dodge Cove Improvement District (DCID), which represents the community located less than a kilometre from the project site. Dodge Cove, Coast Tsimshian nations, City of Prince Rupert and environmental groups have had two opportunities to submit comments on the $20 billion liquefied natural gas (LNG) export facility. June 28 was the final date to submit follow up comments to Nexen Energy’s technical responses. 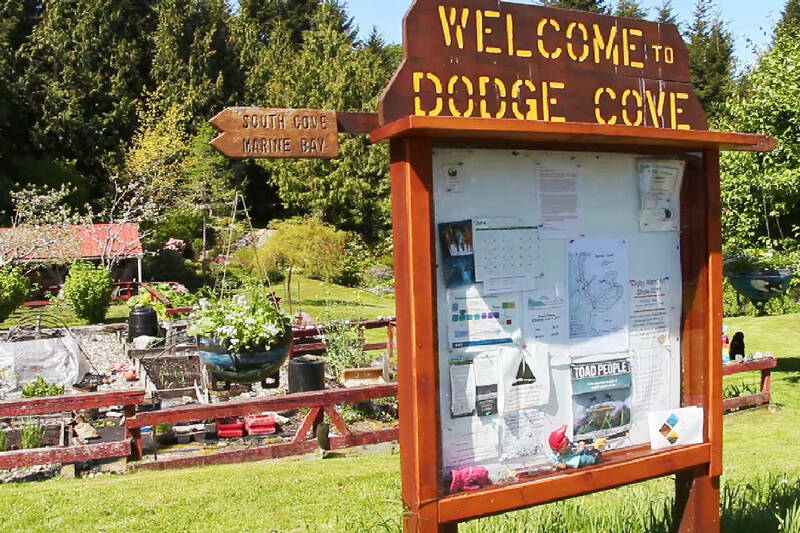 “We got funding at the end of the process and all along we were told we weren’t allowed to,” said Carol Brown, trustee for the Dodge Cove Improvement District. Although the B.C. Environmental Assessment Office (EAO) is handling the environmental assessment of Aurora LNG, the federal environmental agency runs the Participant Funding Program. “(The funding) can assist the recipients’ participation in various steps of the substituted environmental assessment, including providing comments on the proponent’s application, the EAO’s draft assessment report and the potential federal environmental assessment conditions,” the CEAA’s spokesperson Karen Fish wrote in an email. Dodge Cove received $12,300 from the agency and used the money to hire an engineering consulting company to review the detailed technical information on the project proposed for Delusion Bay on Digby Island, a venture by Nexen Energy, a division of Chinese energy giant China National Offshore Oil Corporation (CNOOC) and Japan’s INPEX Corporation. But the delay and small amount of funding provided by the federal agency affected how Dodge Cove — the community closest to the planned CNOOC-Nexen LNG facility — was able to engage in the environmental process, Brown said. In response, CEAA spokesperson Karen Fish states that the agency had reached out to the five funding recipients in February but in order to facilitate an access to information request, a public notice was released in August. Back in December 2016, the CEAA publicly announced $364,560 for Indigenous participation and consultation on the project, and on Jan. 9 the provincial 180-day environmental assessment process began. SkeenaWild Conservation Trust received $7,400 from the CEAA in February to comment on the environmental impact statement and then they were provided an additional $3,750 to comment on the draft environmental assessment report. “We’ve spent approximately double with what they provided on the environmental assessment so far just to hire experts to review the modelling work that Aurora undertook,” said Greg Knox, executive director of SkeenaWild. The organization’s major concern is the impact the project will have on fish and air emissions due to high concentrations of nitrogen dioxide. T. Buck Suzuki Environmental Foundation also received funding from the CEAA in February to assist with assessing the project, said Luanne Roth, the organization’s North Coast Energy Campaigner. She has also coordinated with the Prince Rupert Environmental Society and the United Fishermen and Allied Workers’ Union. With the funding they’ve hired environmental experts, such as Gordon Esplin. Roth and the groups she works with have reserved some of the initial funds from CEAA to pay for experts to review the next phase of the assessment, the draft decisions and conditions. “The most important thing we’re looking for is to reduce nitrogen dioxide emissions by 90 per cent if they use a technology done by all the major turbine producers, we’re hoping it’s going to be in the conditions,” Roth said.